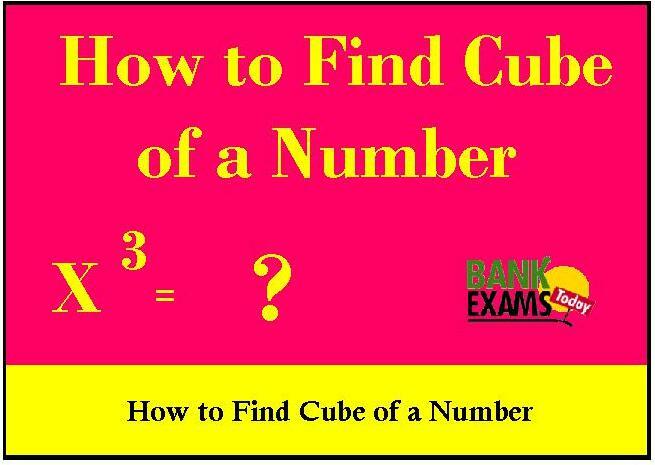 Today, I am sharing the shortcut tricks by which you can make cube of a number. In my previous two article I shared you the shortcut tricks of “how to find square of any number”. But today I am able to show you this trick only for some numbers (1-20 & 90-110). Just follow the rules how number makes cube. I am trying to find out the shortcut trick for other numbers. Whenever I will find it, I will share you. Please don’t use any rules for these numbers. Try to memorize. N.B. : Don’t try these tricks for other numbers. Q.1: 1053 + 153 + 53 = ? Q.2: 953 - 53 + 153 = ? Q.4: 13 + 113 = ?